Akchat Residency is a residential project developed by Akchat Laxmi Garden at Howrah in Howrah. The project aims to offer a comfortable living condition to the residents by encompassing , adding to its existing many facilities. 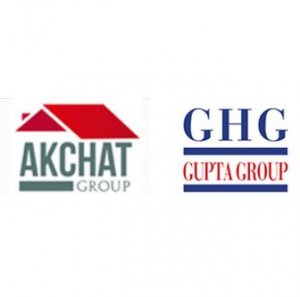 Akchat Group was established in 1995 and has a total of 17 completed projects to its credit. They are a trusted and reputed brand in the housing industry. It brings together its goodwill and its ability to innovate in every project that it undertakes. With an accumulated experience of over 25 years, the Akchat Group hopes to take forward its legacy of innovation and quality housing. As a real estate promoter and developer, the Akchat Group believes in promoting affordable and quality housing. Our USP lies in our strong sense of ethicality and professionalism, and the trust that has been placed in our company over the years. We treat each client as family, which enables us to understand them and their needs. With our continuous endeavors we’d like to make a mark and aid the city’s development, while keeping our family oriented values at heart. GHG Group was established in 2006 and has a total of 6 completed projects to its credit. They are a promising name in the Real Estate market. The builder believe in providing high quality construction work to all home seekers helping them to achieve their dream of being an owner of a home. One of the top builders in the city, GHG Group strongly believes in giving the best infrastructure to its clients without compromising on the quality to offer a fine living space. Fueled by a top-notch team, their focus on service and quality has made them build never ending bonds with their clients. To preserve a strong grip in the highly competitive Real Estate market, it’s extremely trained team focuses on offering realty service equal excellence to all customers.